Promotion-chasing Kent have signed Nottinghamshire seamer Matt Milnes on a three-year contract. The 24-year-old will switch to Canterbury from the start of the 2019 season. Milnes joined the Notts' senior staff on a three-month deal in June 2017 before signing a one-year contract at the end of last summer, and made his club debut against Somerset in June. I appreciate all the help I have been given to improve my game but feel the time is right for me to move on and I'm looking forward to getting going down at Kent. His 11 wickets included the prized scalp of England's leading Test run scorer Alastair Cook in a career best of four for 44 against Essex. "I'm grateful for the opportunity that Notts have given me and I have loved every second of being involved with my childhood club," said Milnes. "I appreciate all the help I have been given to improve my game but feel the time is right for me to move on and I'm looking forward to getting going down at Kent." Nottinghamshire director of cricket Mick Newell added: "We are sad to see Matt go but understand the cricket reasoning behind his decision. "We were pleased with his progress this summer and had offered him a new deal, but he moves on with our best wishes for the future." 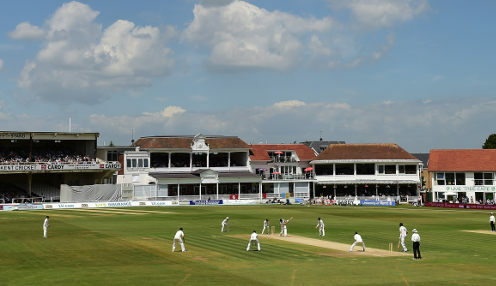 Kent are 8/13 to win County Championship Division Two, while Warwickshire are 5/4 and Sussex are priced at 1212/1.